This was not a question to which many people got a satisfactory answer, such answers were often too painful to give. For those that did ask, many did not have the life-experience to understand the answers. This book takes another step to filling in their story. 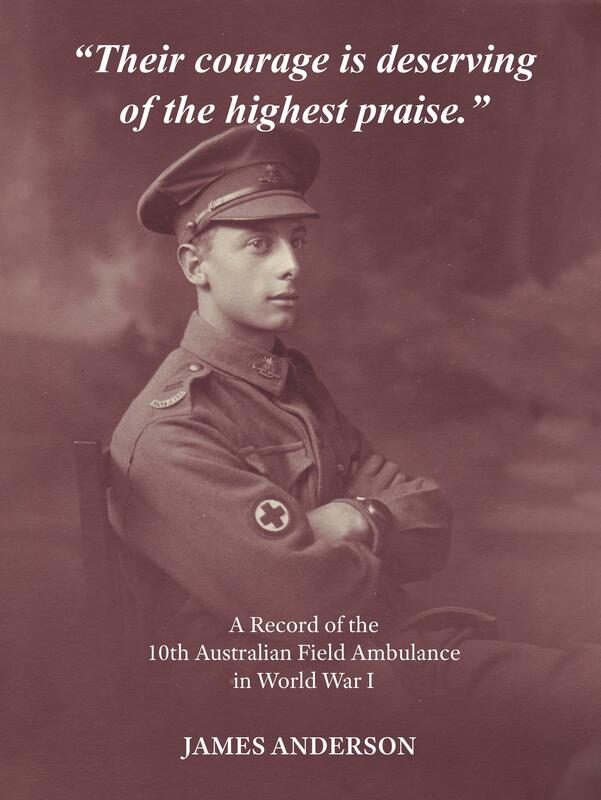 This is the history of a field ambulance unit in WWI, it is presented through the diaries of the two principle participants — the officers and the soldiers — each left their own stories. To hear the soldier’s voice the available letters and diaries have been used. The author’s own grandfather kept a detailed diary of his army life from embarkation and passage to England, through service in France to his being bomb-fodder on the eve of the 1918 liberation of Villers-Brettoneaux, his rehabilitation in England and eventual return home. The officers wrote an Official War Diary each day, as well as some who left post-War reflections. The Official War Diary and the soldier’s diary are each transcribed and presented in a day-to-day comparison. This allows for each to comment on their own experience and for us to listen to what each felt were the most important bits to pass on. Perhaps a new generation can begin to listen, even though these soldiers can no longer speak for themselves. James was born, educated and lives in the south eastern suburbs of Melbourne where he teaches secondary school Science and Maths. James’ desire to record the contribution of his grandfather's Unit in WWI has steadily grown. The lasting patience of his wife and children have aided in the final production of over a decade’s work. This book is James’ attempt to present raw materials for a wider audience and to become more personally familiar with a fading story — Lest we forget.